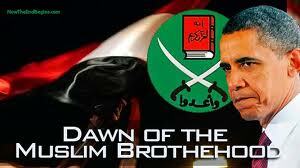 Obama supports Muslim oppression – Egypt’s Muslim Brotherhood President Mohammed Morsi issued a degree forbidding courts to rule against virtually anything he does in what can only be described as assuming dictatorial powers. Although Christians and secularists are demonstrating in the streets of Cairo, the Obama Administration stands firmly with Morsi and has no criticism of his power grab. Meanwhile Morsi’s organization, the Muslim Brotherhood continues call for jihad against Israel and the killing of Jews. Grover Norquist and the Congress – Before I discuss Grover Norquist’s tax pledge, I wish to describe the man: Grover has a full beard (like all observant Muslims) and is married to a Palestinian Muslim woman. Sometimes he claims to be a Christian. He was married to his Muslim wife by a Jewish rabbi in violation of the Torah. He has two adopted daughters who were given both Christian and Muslim names. Politically he is driven by the Libertarian concept of the worship of money. He holds social Darwinist Ayn Rand in the highest of esteem. It was Grover Norquist who brought Muslims into the highest levels of the Bush White House and continues to support members of the Muslim Brotherhood in establishing “good will.” He is of course a fighter against “Islamaphobia,” and he stated that Islam “is completely consistent with the U.S. Constitution and a free and open society.” Norguist also brought a homosexual PAC in as a sponosr of the Conservative Political Action Conference causing many social conservative groups to leave. Yes, this is the nut case that the entire Republican establishment has taken orders from for the last twenty years. The “tax pledge” is not what most Americans think it is. It is, and always has been, a tool to keep tax loopholes for giant corporations — the kind of loopholes that allowed General Electric to earn billions in profits and pay no taxes at all. (The small business guy can’t afford a full time team of high priced tax lawyers, so too bad for him.) According to Grover Norquist, closing tax loopholes or ending any taxpayer subsidies to industries is a tax increase. The “tax pledge” is and has always been a “screw the small tax payer and small businessman pledge” to keep taxes low for big industries and special interest groups. Some Republicans now want to LOWER the tax rates for all of us and close the loopholes and stop the subsidy payments to various industries. According to Grover Norguist and Fox News commentators such as Shawn Hannity, that is a tax increase. Even a flat tax is a “tax increase” because while most would pay less, some would pay more. According to Norquist if 99% of workers have their taxes lowered but just 1% have to pay more because of closed loopholes, it is a tax increase and any congressman or Senator who votes for a plan like it is in “violation” of the Norguist tax pledge. Advice to the GOP: Hide this guy in a closet and fix the broken tax code. The tax code Norquist is protecting is now estimated to be as much as 75,000 pages. The core law, without regulations, is twice the length of the Bible. We need to dump this monster tax code, not protect it, and we need to institute a simple tax structure. What we have now is a system in which two individuals can earn the same amount of money, but one pays nothing in tax and the other hands over one-third to the government. That has to stop. Eight, including Americans, to die for free speech? – The headlines have said that several Coptic Christians living in the USA have been sentenced to death for blasphemy by an Egyptian court for being associated with the Innocence of Muslim film. Actually, some of those are American citizens, including pastor Terry Jones in Florida. The White House has not condemned the outrage against free speech and neither has any member of Congress on either side of the aisle. Read more. Syria: Suicide bombers supported by Barack Obama in Syria have killed dozens of civilians Christians this week. Read more in Presidency section. Syria: Syria has presented the UN Security Council a list of 143 foreign citizens killed in Syria fighting government troops. ­The Syrian government reportedly presented proof that citizens of 19 different nations had fought jihad against Syria. Nigeria: On November 22nd 18 Christians were killed in an attack by Muslims in Maiduguri. Nigeria:On November 23rd a church was burned and four Christians killed by Muslims on a rumor of Blasphemy of Mohammed. Our warehouse in danger – Our facility is in danger of Muslim Brotherhood riots in Amman, Jordan. Please send funds now to help us move supplies to aid Syrian Christian refugees.